Go ahead. Try to measure the human toll of distracted-driving crashes. The numbers are staggering. 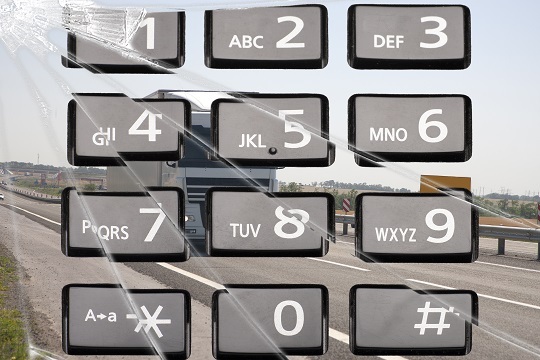 In Texas, more than 275 crashes every day involve distracted driving. Those crashes resulted in 444 deaths and 2,889 suffered serious injuries in 2017. When a commerical plane crashes, there is public concern. Investigations are launched. Distracted-driving crashes touch the lives of mothers and fathers, sisters and brothers, friends and co-workers. They also touch employers, who absorb the brunt of crash costs whether crashes occur on or off the job. Employers have been held liable for millions of dollars in crashes that involve employee distracted-driving, even when employees are using hands-free devices. Distracted Driving Awareness month in April is a good time to review what elements should go in a safe-driving policy for employees. We have created a sample you can use on your own company letterhead. Raise awareness of risks associated with distracted driving by using two new, free resources from Our Driving Concern. The first is the latest in my Live with Lisa video series: Distraction is Confusion about What Matters Most – Safety. Feel free to play this video on your workplace monitors and share on your social channels. The second is a poster: Just Drive. Print and post on bulletin boards at your workplace. Share via an email blast to employees and on your social channels. In today’s vehicles, more and more new technologies are included, but that doesn’t automatically mean they are safe. Distraction that results from a driver ordering takeout on the way home from work is not only unnecessary, but also entirely preventable. Get free resources from the National Safety Council to share these types of important safety messages. Distracted driving is doing anything other that your primary task — driving. Just drive! Road rage fatality incidents have increased by 350% since 2007. 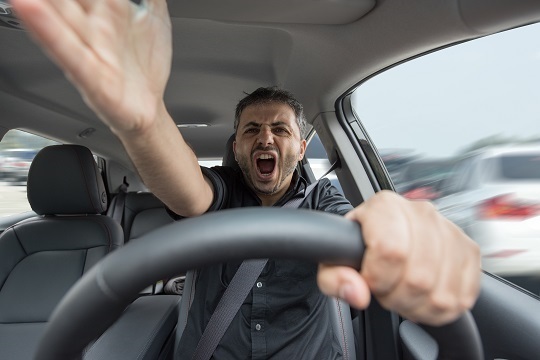 In a recent Today Show segment, Joe Fryer of NBC News presented data from the Federal Department of Transportation showing the number of road rage fatality incidents in the U.S. increased 350% from 2007 to 2017. Fryer plays dramatic cell phone footage of incidents from across the country, including the driver of a SUV repeatedly slamming into a car and another where two men scuffle on the side of Interstate-35 outside of Austin. He then segues into a demonstration of how to de-escalate incidents and avoid road rage. Fryer taps two National Safety Council experts: Alex Epstein, director of transportation, and Maureen Vogel, senior public relations manager. The segment is one you can use at your workplace during a safety meeting to discuss aggressive driving, the feelings you get while driving in various situations and how to handle these situations so that safe driving behaviors prevail: How to Protect Yourself in a Road Rage Situation. Before you start, it’s worth knowing your odds of dying from the leading causes to engage employees on the importance of transportation safety. Hence, the first tip from Epstein: Driving is fundamentally one of the most dangerous things you’re going to do. So, it’s important to be in the proper state of mind – relaxed, calm and ready to go. A couple more tips: If an angry driver follows you, don’t get out of your vehicle. Try to get to a public space surrounded by other people, preferably a police department parking lot. Refrain from using your horn. This can be an instant agitator. Ask: Is losing your cool worth putting yourself or others at risk? What else can employers do to cut costs associated with crashes? Get free educational materials, free resources and free training from Our Driving Concern.